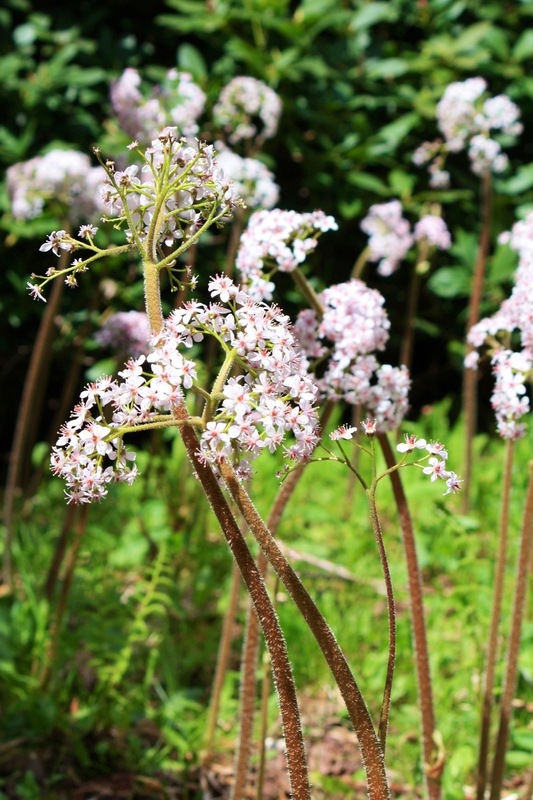 In late spring the soft pink flowers of Darmera peltata emerge before the leaves, held high above the ground on stems up to 1.5m tall. This vigorous perennial then produces rounded leaves up to 60cm diameter. In autumn the foliage turns a rich red before dying down for the winter. A great plant for streamsides and bog gardens where there’s plenty of space to romp around. Pictured here at Sandling Park, Kent.